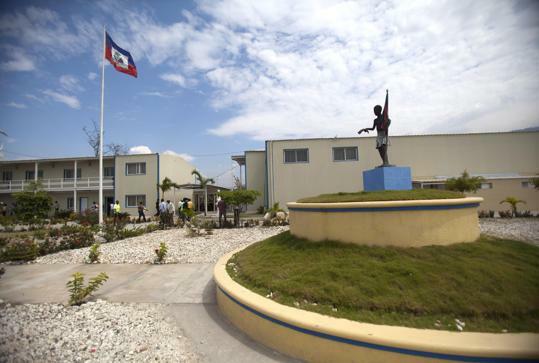 The Reverend Antoine Lissaint of Haiti’s Jesuit Refugee and Migrant Organization told The Associated Press on Sunday that a group of Dominicans killed the man because they blamed people of Haitian descent for the fatal stabbing of the couple. “Some of them were caught in the streets, with their children, and were sent to Haiti, like that, without anything,” Azolin said. Workers for the Haitian government’s National Office of Migration greeted the expelled Haitians and others of Haitian descent, many of them mothers with their children, including a 3-day-old boy. STATEN ISLAND, N.Y. – The big blizzard hit areas that have barely started to recover from Superstorm Sandy a little more than three months ago. Fortunately, one New York City neighborhood is benefiting from what you might call island-to-island help. Joseph and his colleagues are from Haiti. They survived the 2010 earthquake that devastated their nation. And they haven’t forgotten the kindness of so many American strangers. “Because they helped us to rebuild, we ready to put in insulation, to put in sheetrock, and everything that needs to be done,” said Joseph. The Haitians arrived Thursday, just in time for weather they’ve never seen. Icy temperatures and blizzard conditions as they began rehab work in a Staten Island neighborhood wrecked by Superstorm Sandy. They were brought here by Richard Hotes whose foundation, he says, built some 500 homes in Haiti for people living in refugee camps after the earthquake. He also learned something not useful in Haiti: how to have a snowball fight. 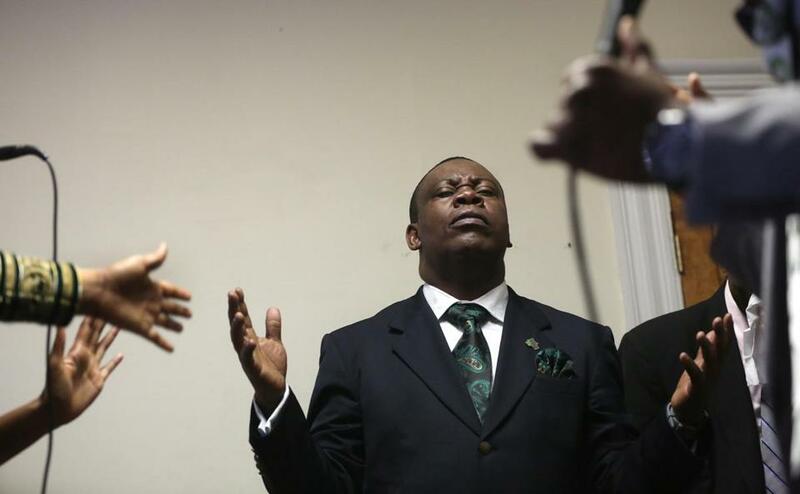 The Haitians will be in Staten Island through next week. “From all of our hearts, we are grateful to be here,” said Joseph. They hope to help rebuild 100 homes by then. 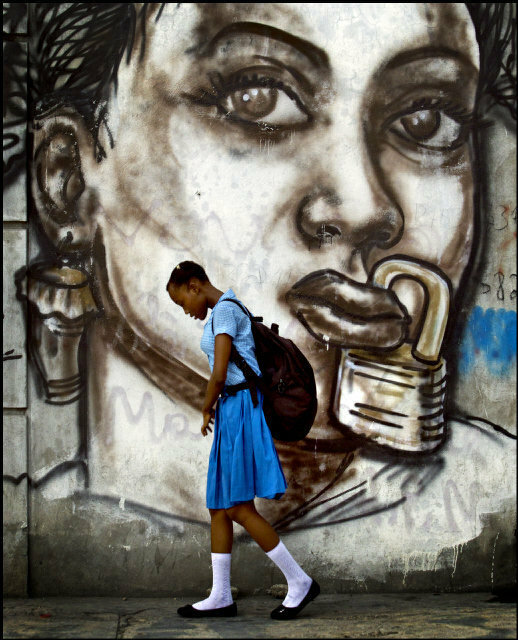 CROIX-des-BOUQUETS, Haiti — The bright green, orange and blue box-shaped tiny buildings beckon like neon signs on a dark night. Partially built and the size of a tiny motel room, the two-room structures are a huge improvement over the tattered tents and tin shacks where 347,284 Haitians still linger three years after the devastating Jan. 12, 2010 earthquake. 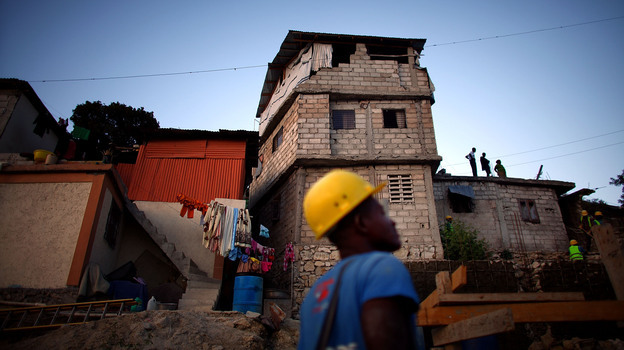 But as Haiti’s government moves to resolve the biggest reconstruction issue — permanent housing — officials are facing a lack of funds to solve the problem and getting criticized over the size and location of the houses that are being built. Some even question whether the government should be in the construction business. 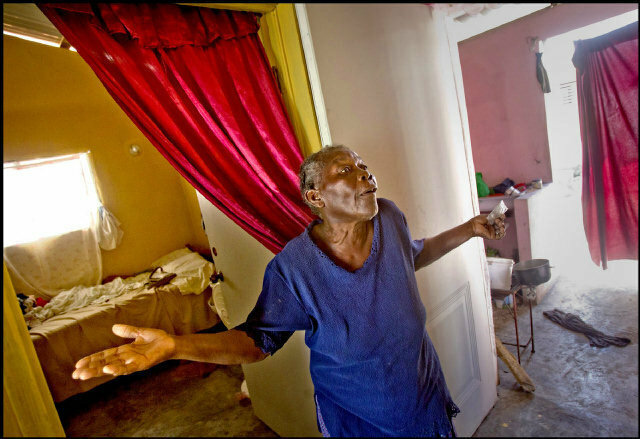 But Patrick Rouzier, housing adviser to President Michel Martelly, said the 344-square-feet houses are more than dignified. They consist of two-rooms, a kitchen and bath. At a cost of $48 million, the 3,000 houses being built on the outskirts of Croix-des-Bouquets are only part of the government’s housing fix. The plan also includes revitalizing quake-damaged neighborhoods and urbanizing slums and undeveloped areas. Internationally, there has been a low success rate for the type of contractor-built, government-sponsored post-disaster projects the new community represents. The reasons are complex, say housing experts, and include issues of poor or non-existent housing policies, tenant selection, remote locations and the costs to expand the starter homes. What seems logical is very difficult to replicate in a way that creates thriving new communities occupied by formerly-displaced families, the experts say. 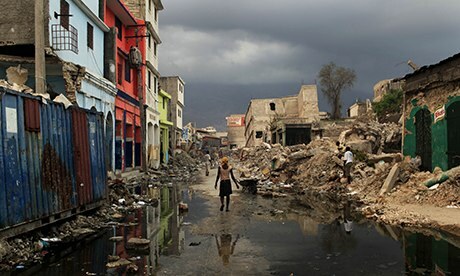 Even before the quake left more than 300,000 dead and wiped out 410,000 homes across Port-au-Prince and its surrounding cities, Haiti’s housing stock was substandard. The poor lived mostly in deplorable slums scattered around the capital. Houses that didn’t pancake in the trembler were later tagged as green for inhabitable; yellow for repairable or red for demolition. 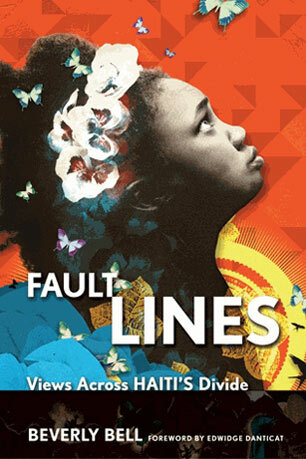 But after promising to help Haiti “build back better,” donors hesitated to pour money into permanent construction. Instead, they financed repairs for homeowners, rental subsidies for tent dwellers and the construction of 160,000 temporary shelters for a half-million people. Nowhere are the failed promises of reconstruction as glaring as in the empty model homes sitting inside Zorange, a public housing village near the Port-au-Prince airport. Designed mostly by foreign architects and builders, the homes were promoted as part of a housing expo championed by former President Bill Clinton. 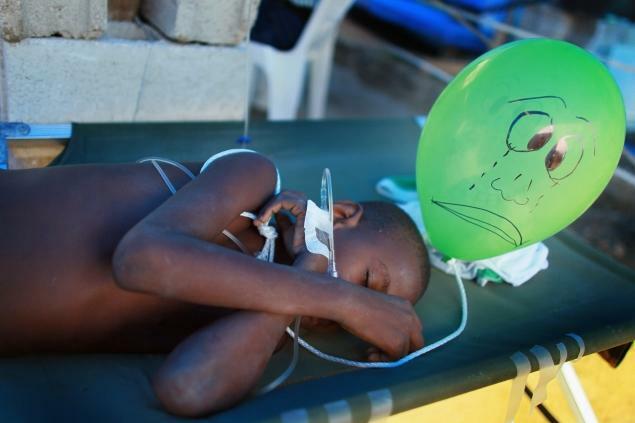 But the project never received the donor financing or Haitian government ownership to match Clinton’s enthusiasm. “It was hoped that either a private sector or maybe an investor, or maybe a large donor would pick up and scale up one of these models. But this is where the money has run short,” said Jessica Faieta, the United Nations Development Program’s deputy regional director for Latin America and the Caribbean. Not far from the failed expo is one of the few donor-financed permanent housing projects that did happen. The 400 houses, also in Zorange, were financed by the Inter-American Development Bank for about $8 million, with construction overseen by the government. The houses, however, remained unoccupied for about eight months before quake victims like Marie Therese Pierre were identified by a government agency and allowed to moved in. For Pierre, the sparsely furnished two-room house with a kitchen and bath, is a big upgrade from her poorly-constructed Cité Soleil house that fell in the quake.